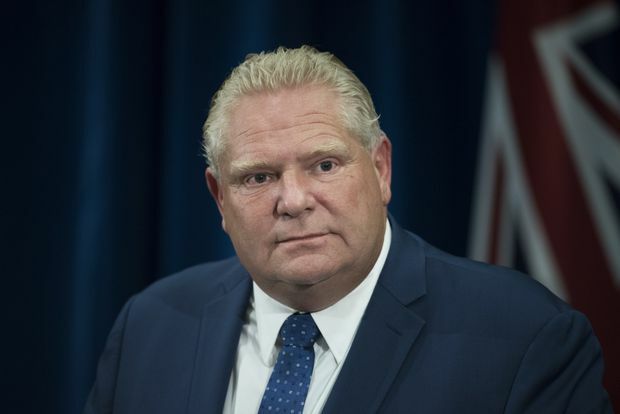 Whether or not legislators think the judge was offside when he ruled the council law invalid, Doug Ford's use of the Constitution's "notwithstanding clause" is an outrageous abuse of the override power. When a judge can shoot down the decisions of an elected government, the Premier says, “That’s scary, that’s disturbing.” No, what is disturbing is that a premier thinks he can do whatever he pleases just because he has a bond with the masses. Mr. Ford's performance on Monday was pure populism. Railing against unelected judges who thwart the will of the people is straight from the playbook. So is ranting about the special interests, the activists and left-wing downtown councillors who couldn’t get another job if they tried. It is precisely to curb the excesses of men such as Mr. Ford that we have a Constitution and a Charter. Now Mr. Ford is thumbing his nose at those vital documents.